Meanwhile, the agents of Wayne “Shrek” Rooney, Rio “Plug” Ferdinand and Luis “Mr. Ed” Suarez were not available for comment. After this stroll in Upton Park from an effortlessly superior Chelsea side, West Ham boss Sam Allardyce must be preoccupied by one burning question: are there three worse teams in the Premier League than his punchless, impotent Hammers? Because, make no mistake, West Ham’s short term future revolves entirely around that one issue. If three teams even less creative, even less error-prone and ineffective, can be found to occupy the dreaded drop zone – then the Hammers may survive another season. If not, it’s back on the downward path for one of the classic yo-yo clubs. Even at 3-0, this scoreline hardly flattered Chelsea. Rather, it was an indictment of some profligate finishing on their part – they could and should have had at least a couple more, and Frank Lampard will consider himself rather let down, not having completed his hat-trick. As for the Hammers – they’re as lightweight up front as the famously under-endowed Olive Oyl. To their eternal credit, they did finally muster a shot on target – in the 94th minute. If only that could have gone in, it would have made …. absolutely no difference at all. Meanwhile, at the other end, the poor old ‘Ammers goal was ready to collapse after a ninety minute shelling during which it had sustained enough enemy fire to scuttle a fleet. Again, one wonders how it ended up at only three. West Ham, for their part, were a bit lucky to get nil. It’s the fashion in these tender-hearted and sentimental times for returning old-boys to show a bit of class and decorum, should they happen to have the bad taste and ill manners to score against the alma mater. This is an admirable convention in many ways, and it’s probably saved a few hot-headed pitch invasions. But really, it would be too much to expect of the Hammers fans’ least-favourite Lampard, the junior Frank of that ilk. When he was a Hammer, he got hammered as a daddy’s boy. When he left for Chelsea, he was castigated for greed and disloyalty. On the numerous occasions since then, when he’s rippled the Barrow Boys’ net, he’s taken vile abuse and snarling hatred – simply for doing his job. These ‘Appy ‘Ammers boys have a chirpy cockney reputation, but anyone who’s walked from the Boleyn back to the tube after a tidy little away win for their team might beg leave to doubt the sincerity of all this alleged good-natured bonhomie. The truth is that are about as charming as a bucket of cold jellied eels, as friendly as Dirty Den in a taxi. 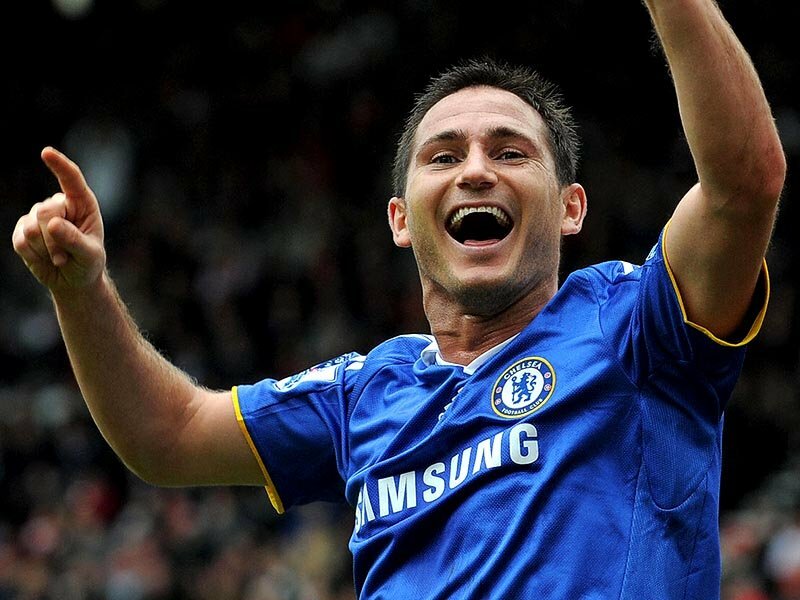 So when Frank Lampard pops another one in against the Iron, you can forgive the lad a bit of a celebration. He looked nearly as happy as those who had backed him as an any time goalscorer at betting site bwin.com! Lamps’ two displays of triumphant joy today, either side of a slide-rule finish from Brazilian Oscar, will not have gone down well with the Upton Park clientele. But they had better brace themselves for more of the same, because although they won’t meet the class of Chelsea every week, there aren’t too many teams which will be troubled by an attack so lacking in penetration that a belting prescription of Viagra looks the least that will be needed to inject a bit more oomph. This brings us back to the question of whether enough teams can reasonably be expected to finish below Sam’s droopy troops, to give them a fighting chance of securing another campaign. On today’s evidence, that looks rather doubtful.